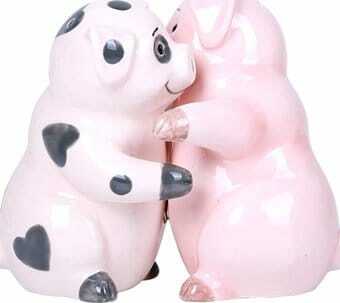 Hug it out before you pig out! Beautifully handcrafted/painted fine ceramic. Each shaker measures 3.5" tall.